So what is it, Dan Murphy’s or community safety? The NSW Government recently sought public input into their evaluation of the Community Impact Statement (CIS) system. The CIS is supposed to engage the local community in liquor licence decisions by requiring licence applicants to inform local police, health agencies and local residents, among others. Of concern, Liquor & Gaming NSW (L&GNSW) appear to be evaluating the effectiveness and perhaps even the necessity of the CIS. On the L&GNSW website it states that “Liquor & Gaming NSW (L&GNSW) is evaluating the requirement for applicants for certain liquor licences and authorisations to lodge a community impact statement (CIS).” [i] This insinuates that L&GNSW is evaluating whether to have community input in the licencing process at all! Community input is the foundation of good governance. The evaluation of the CIS should be looking to strengthen the fundamental need for community consultation, not suggest watering it down or doing away with it all together. The NSW ACT Alcohol Policy Alliance (NAAPA) has long argued that in its current form it has never been effective, but have at all times emphasised the absolute importance of ensuring that community consultation is a critical component of any liquor licensing regime. I am fearful that L&GNSW does not agree. Since the beginning of the year only four new packaged liquor licences have been rejected by the Independent Liquor and Gaming Authority (ILGA). This is in stark contrast to the 44 that have been approved – in many instances – despite overwhelming community objections. And that doesn’t even count licence transfers, extended trading hours or any other licence application type for that matter. How are we supposed to have our voices heard when we are ignored by politicians, industry and even ILGA? Community consultation is encouraged when it comes to urban planning, health service implementation and is even encouraged when it comes to the easiest decision of them all, marriage equality. But for some reason when it comes to liquor licensing, community input is discouraged, made unnecessarily complicated, and in some circumstances simply denied. Submissions to the CIS review, are listed on the L&GNSW website. Although there is a notable absence from the NSW Australian Hotels Associations. Of the 45 submissions on the website, the majority of submissions (32) detailed the lack of transparency and community input and called for the system to be improved. There is even unanimous condemnation from NSW government health agencies. 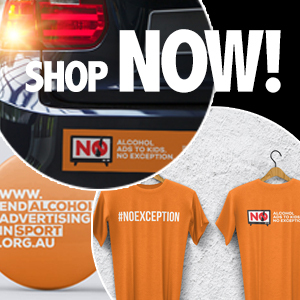 The submission from the Western Sydney Local Health District (WSLHD) stated that of the “23 objections NSLHD Health Promotion (North Sydney Local Health District) has submitted over the last six years, the Authority has not refused a single liquor licence application”. But some do think that the process is too burdensome for industry. Of the submissions published twelve supporting a ‘red tape reduction’ approach (nine being from industry representatives) think that the current system is great or want to have community input reduced even further! NSW Clubs go as far to say that NSW Health and recognised leaders in the local Aboriginal and Torres Strait Islander area be removed as a key stakeholder because they are not directly impacted. Removing these key stakeholders clearly ignores the impact of alcohol harm on the community. There is increasing community concern about alcohol harm and rightly so. Every day in NSW, alcohol is responsible for 32 emergency department presentations, 149 hospitalisations and four deaths. [ii] For this reason, it is essential that the regulatory system values community input to decisions that would affect local safety, amenity, health and wellbeing. 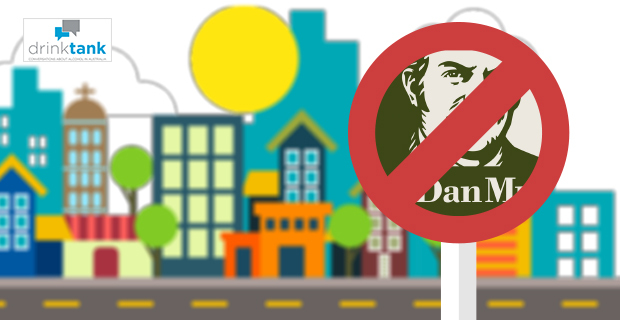 There are many examples where community concerns have been ignored, including the approval of a Dan Murphy’s in Rosebery, which was objected to by not only the local police, but also 600 supporters of the Rosebery Resident Action Group (RRAG). At the end of last year (November 2016) a packaged liquor licence was approved for a Dan Murphy’s in Rosebery by ILGA. It was highlighted in a number of submissions opposing the application, that the Dan Murphy’s proposal had already been rejected by the City of Sydney two years prior [25/8/14]. Dan Murphy’s way around the refused development application was to transfer a liquor licence from an existing premise without further recourse to council. A number of submissions opposing the application highlighted the negative impact a Dan Murphy’s store would have on the community including alcohol-fuelled violence, the close proximity to schools, the large number of takeaway liquor stores already in the area, increased traffic and the detriment it would bring to smaller local businesses in the area. Many opposing submissions also stated that there was no community impact statement and no social impact statement. The local community was never consulted. This industry tactic to refute the evidence and call it irrelevant is nothing new, but the fact that ILGA, an independent body, ignored the evidence provided and approved the application as it “would not be detrimental to the well-being of these local and broader communities” is cause for serious concern. There are number of problems here. Firstly, valid and evidence-based community concerns are being ignored. Secondly, the regulatory processes are riddled with loop holes that allow industry to circumvent local councils, and fight refusals in expensive and protracted court cases. And thirdly, there are too many ways in which community consultation can be avoided entirely. Clearly the local council, local police and local residents did not want a Dan Murphy’s in Rosebery yet ILGA approved the application regardless. A copy of the approval notice can be found here. As can be seen in the Dan Murphy’s Rosebery case, there is an inherent lack of transparency surrounding licence applications. Not all applicants are required to complete a CIS and the local community are often left unaware of an application. What is even more concerning is that it is left to under-resourced community members to prove that a liquor licence will cause harm to the community. The burden of proof rests heavily and unfairly on the shoulders of community members. These concerned groups and individuals lack the knowledge and resources to combat the well-funded industry bodies. However, this does not mean that community impact should not be assessed, rather it goes to show that the current system needs serious reform to strengthen opportunities for community input. Recommendations to the NSW Government have been outlined in the NAAPA submission to the CIS evaluation. A copy of the submission can be found on the FARE and NAAPA websites. Thanks for the article Maddie. We are having our own skirmish with Dan Murphy’s in the Northern Territory. The chance of legal action by Woolworths against the NT Government is quite high. We have the highest rate of alcohol consumption in Australia and higher than all bar a countries in the world. The rates of drink driving, alcohol attributed hospital admissions, road deaths involving alcohol and many other alcohol related maladies are many multiples higher than other jurisdictions in Australia. Woolworths are only concerned with profits and view the NT as ripe for their business model – selling vast quantities of low price alcohol. The rate of unsuccessful applications for liquor licenses in the NT is minimal. The granting of liquor licenses in the NT is by one person, the Director General of Licensing. This position has shown scant regard for any objections despite the alarming NT wide figures. Unfortunately there is not a lot of research up here that allows for evaluation or evidence to use in licence objections that pertain to a particular small geographic area which is seen as essential by the Director General. The Liquor Act allows objections where the granting of a licence will adversely affect the ‘health, education, public safety or social conditions in the community’. These have routinely been dismissed as they do not equate to the immediate vicinity of the licence. I see community as a slightly larger area than the immediate vicinity as do many others. Unlike the previous government, the current government has taken a stance against granting liquor licenses except in areas of large increases in population. The government wants a 400 square metre restriction on the area of licensed premises. This does not fit the Dan Murphy’s model of around 1200 square metre selling high volume low cost alcohol. They guarantee to be the lowest price of any retailer. I am not confident that the NT Government will take on the vast resources of a massive national organisation that has very deep pockets. Just having a good time or a growing health issue?